I isolate Hugh Hewitt’s discussion with Senator Cornyn (R-TX) regarding the 9th circuit judges Jeff Flake blocked. I include Hewitt’s reading of the WALL STREET JOURNAL Opinion piece, and his finishing excoriation of Jeff Flake. …Reports are that the California senators are particularly focused on dropping Bumatay from the deal. Bumatay, 40, is a federal prosecutor from San Diego, presently on detail to Main Justice. Bumatay, a Filipino, would be the first openly-gay judge to serve on the Ninth Circuit. The Democrats would HATE-HATE-HATE America to know there is a conservative gay movement. 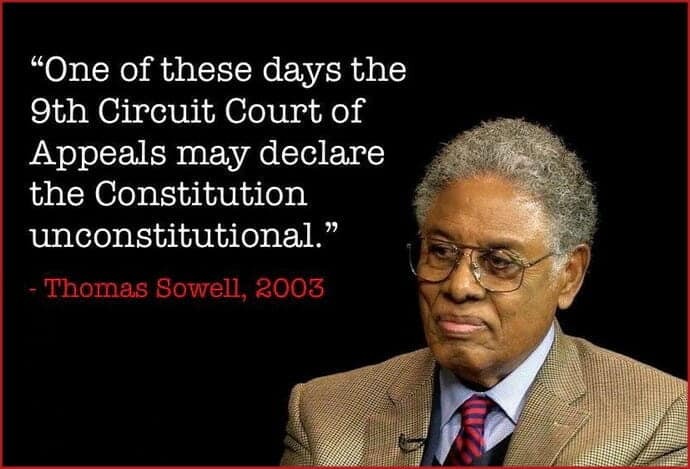 This entry was posted in Constitution[al], Hugh Hewitt, Legal/Law and tagged Daniel Collins, Jeff Flake, John Cornyn, Kenneth Lee, Patrick Bumatay, Thomas Sowell, U.S. 9th Circuit Court of Appeals.